EDIT: We have answers! Find out answers to your all your burning questions! Hey Everyone! We are coming today with a special announcement. One of SimCity BuildIt’s EA employees, Amelie, has extended the courtesy of a private Q&A With EA & the Game Developers and special members of the SimCity Community, including the moderators of /r/SCbuildit. Myself, jaanko, seattleandrew and michaelbv101 are some of those who will be attending the question and answer session over at SimCity BuildIt’s Facebook page sometime in the near future (date is TBD). Feel free to drop a question down below, or head over to the official reddit thread here. When leaving questions, PLEASE be constructive and respectful. The devs are as much players of the game as are they are people. Great questions / comments can help improve this game and our community! 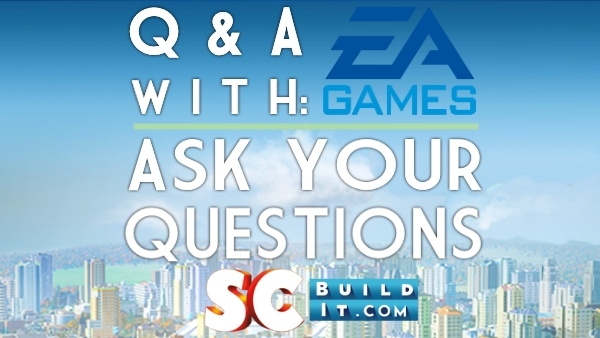 SimCity BuildIt – Q&A With EA & the Game Developers – ANSWERED!